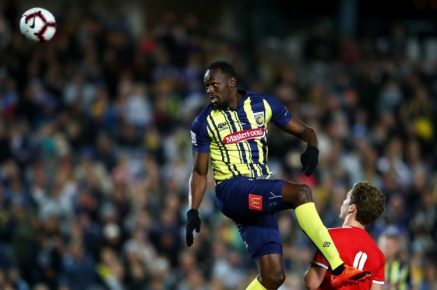 31st August 2018 – 100m and 200m World Record holder Usain Bolt (JAM) made his much-anticipated professional football debut for the Central Coast Mariners today. A crowd of over 12,000 were present for the pre-season friendly and they got to see Usain come on as a 70th minute substitute. Some promising touches and a couple of goalscoring opportunities wet the appetite for more to come.